Thuppakki songs on Vijay's birthday? A.R. Murugadoss' next film Thuppakki with Vijay and Kajal Aggarwal is progressing briskly in Mumbai; it is heard that Ilayathalapathy Vijay will play the role of a cop. 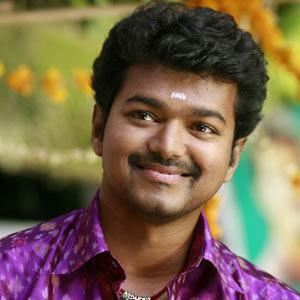 The latest is that the actor is planning to release the songs on Vijay birthday, June 22. Cinematographer Santosh Sivan has revealed that most of the shots in Thuppakki are canned with hidden cameras in real locations. So now it looks like the film will be a real treat for Kollywood fans. The film is likely to grace theatres on August 15, 2012 (Independence Day treat). The technical team comprises of Kalaipuli S. Thanu (producer), Santosh Sivan (camera), Harris Jayaraj (music), Jayamohan (dialogues) and Anthony (editing).